TravelersBox is the leading provider of offline-to-online currency services allowing travelers to convert leftover foreign change and bills into usable digital currency through easy to use kiosks. The service allows travelers to convert leftover foreign currency into usable digital currency (such as PayPal, Skype, iTunes, gift cards, etc.) through kiosks in airports around the world. This way, money that would otherwise be kept in a jar of mixed coins and bills, is now of value again. It is the perfect solution for travelers who want to use their leftover change wisely. 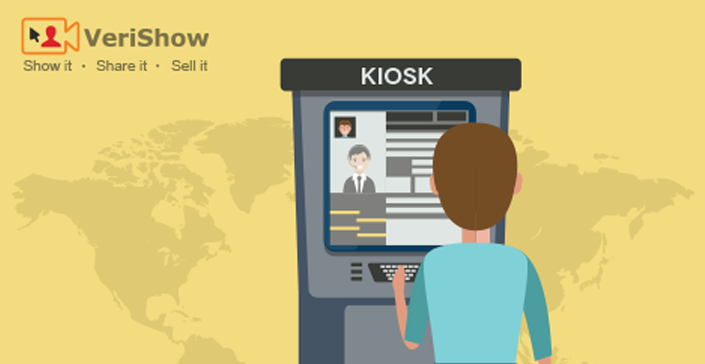 TraverlersBox provides live video chat support by VeriShow to its kiosk users. Airport travelers who use the kiosks can engage with live support agents via video chat and receive live help in real-time. The kiosk allows agents to write messages to customers as well as speak with them via video chat to provide better, personal customer service. 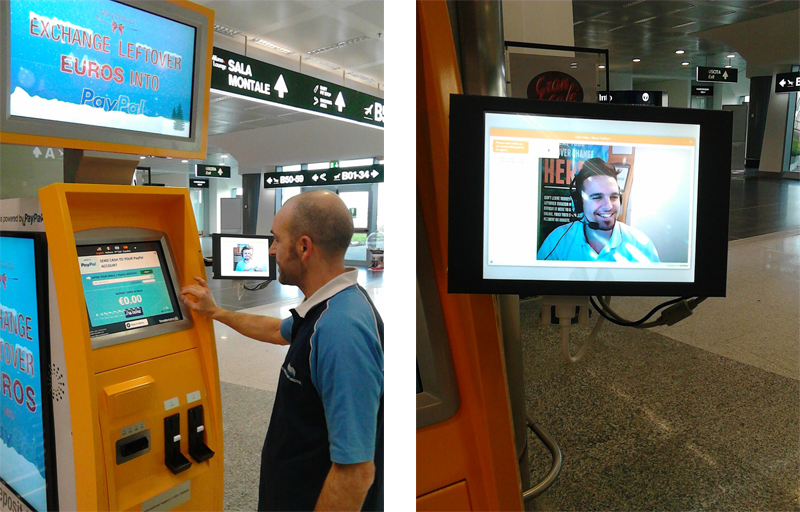 A TravelersBox customer uses VeriShow’s video chat kiosk in an airport. You can read more about VeriShow’s video chat and content sharing kiosk solution or request a demo.